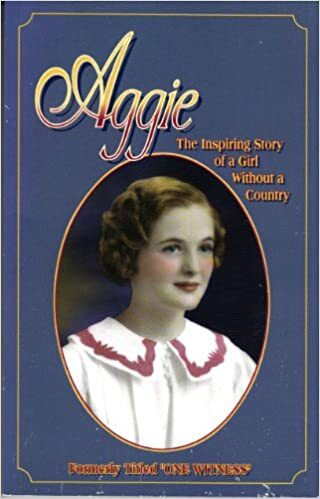 By Aggie Hurst, telling her own story in Aggie: The Inspiring Story of A Girl Without A Country, Springfield, MO: Gospel Publishing House, 1986. Aggie was not to be deterred. She walked into the squalid apartment, with liquor bottles everywhere, and approached the seventy-three-year-old man lying in a rumpled bed. The man instantly stiffened. The tears stopped. “God forgot all of us,” he said. “Our lives have been like this because of Him.” He turned his face back to the wall. Over the next few days, father and daughter enjoyed warm moments together. Aggie and her husband soon had to return to America— and within a few weeks, David Flood had gone into eternity. A few years later, the Hursts were attending a high-level evangelism conference in London, England, where a report was given from the nation of Zaire (the former Belgian Congo). The superintendent of the national church, representing some 110,000 baptized believers, spoke eloquently of the gospel’s spread in his nation. Aggie could not help going to ask him afterward if he had ever heard of David and Svea Flood. In time that is exactly what Aggie Hurst and her husband did. They were welcomed by cheering throngs of villagers. She even met the man who had been hired by her father many years before to carry her back down the mountain in a hammock-cradle. Psalm 126:3-6 — The Lord has done great things for us, and we are filled with joy. Restore our fortunes, Lord, like streams in the Negev. Those who sow with tears will reap with songs of joy. Those who go out weeping, carrying seed to sow, will return with songs of joy, carrying sheaves with them.